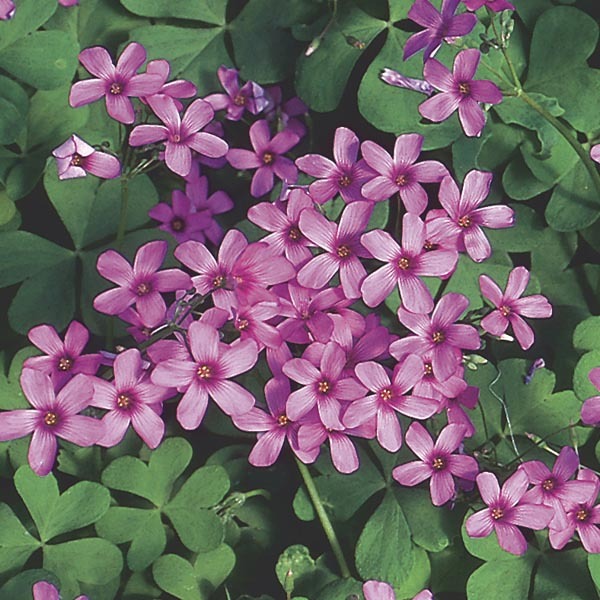 The leaves of this species have the familiar clover-leaf shape common to Oxalis, but may be green, gold or burgundy depending on variety selected. The dainty funnel-like blooms may be white, pink or yellow. A soft, casual looking addition to gardens or containers. Perfectly sized for rock gardens and border fronts. Beautiful in shady borders and woodland gardens. Perfect for all kinds of containers. Best in fertile, humus-rich, well-drained soil. Water as needed to keep soil evenly moist, especially in hot weather. Apply a balanced liquid fertilizer monthly.